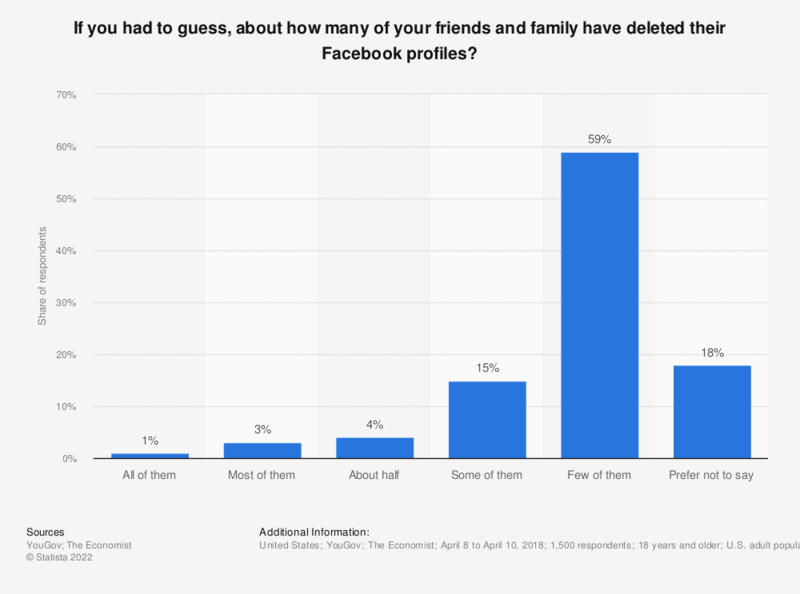 This statistic presents the perception of U.S. adults on how many of their family and friends have deleted their Facebook profiles as of April 2018. According to the findings, 59 percent of surveyed respondents stated that they guess a few of them have deleted their profiles, while only one percent of the respondents stated to have guessed all of them have deleted theirs. Question: "If you had to guess, about how many of your friends and family have deleted their Facebook profiles?"